After securing 6/7 winners on Matchday Five, Kevin Hatchard's back with four more bets. "Dynamo have no need to rest players, and they should overwhelm a Jablonec side that's still looking for its first win of the group stage." 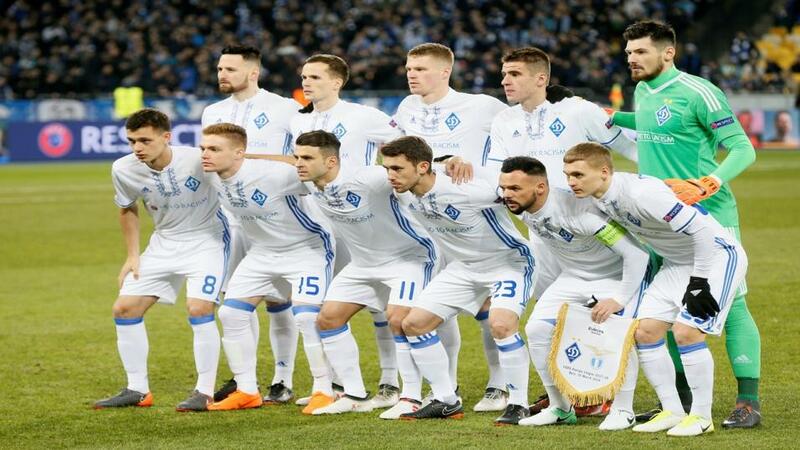 All too often in recent seasons, Dynamo Kyiv have been in the shadow of their old rivals Shakhtar Donetsk. The capital club haven't won the Ukrainian Premier League since 2016, and haven't won the Ukrainian Cup since 2015. This season, Dynamo once again find themselves trailing in Shakhtar's wake in the league, with a gap of seven points now separating them at the top of the table. At least the Europa League has allowed Dynamo to shine. They have racked up three group-stage wins and two draws, and they are three points clear at the top of their section. You'd think they might rest players against Jablonec, but it's their final game before the winter break, so there is no need to do so. Jablonec are bottom, with just two points collected from five games. They have lost at Rennes and Astana, and I see little evidence that suggests they'll avoid defeat in Ukraine. It's been a topsy-turvy campaign for Besiktas in the Europa League. They started off with a 3-1 win over Norwegian outsiders Sarpsborg, but subsequent defeats at home to Genk and in Sweden against Malmo put them in danger. They were 2-0 down inside six minutes against Sarpsborg in Norway, but came roaring back to secure an amazing 3-2 victory, and a 1-1 draw in Belgium against Genk means they are second in their section heading into Matchday Six. A draw would be enough for the Turkish giants, and their recent form suggests they can do a bit better than that. BJK have won three of their last four matches, and in their last home game they secured a vital derby win over Galatasaray. Malmo must win, and they have only secured one victory in the group stage. They have collected just a point from their two away games so far in the UEL, and my suspicion is that a reinvigorated Besiktas will have too much quality for them, especially in front of their vociferous fans. This section, which also includes Rangers and Rapid Vienna, has provided thrills and spills from the get-go, with the four teams involved scoring 31 goals between them. All four teams can still reach the last 32. Villarreal could do with a pick-me-up after a weekend that saw their long-suffering coach Javi Calleja finally dismissed. Defeat at home to Celta Vigo left the Yellow Submarine above the dropzone merely on goal difference. A draw would be enough for Villarreal to progress, and a win would see them top the section. Spartak know they must win to go through, and that necessity to win could spark another exciting contest. Three of Villarreal's five UEL games have featured at least four goals, and that's the case for two of Spartak's group-stage games. Spartak have to go for it, and they'll have been encouraged by how porous Villarreal's defence looked against Celta. I'll back Over 2.5 Goals here at [1.8]. French side Rennes know exactly what they have to do to qualify for the last 32 of the Europa League - they must win their final group game at home to Astana, and in doing so eliminate the Kazakh team. However, getting those three points could be easier said than done. Astana have only lost one of their five group games, they beat Rennes 2-0 in the reverse fixture, and they have only lost one of their last six away matches in the Europa League. Rennes have won just one of their last seven matches at Roazhon Park, so how can we legitimately back them at odds of [1.67]? I think Astana have show they have the quality and the resilience to book their passage to the last 32.